Are you managing PPC accounts for service based business such as lawyers, window fitters or garage door installation? Then you are about to learn an incredible effective strategy that hardly any advertisers use that will significantly increase your ROI. By using Adwords Geo targeting and converting your national campaigns into several local ones you can see huge improvements in performance. From our data we have found that customers who buy services like to see local adverts that reference the city that they live in or near too, even if they are buying from a large national provider. 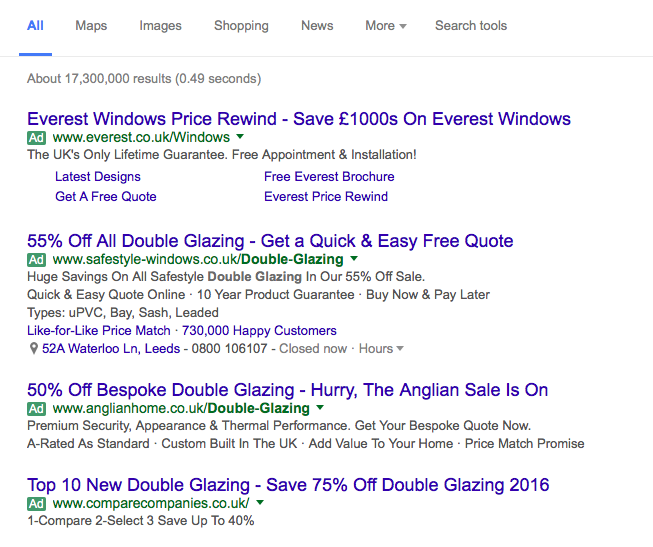 Take a look at these results for when I searched for double glazing from York in the UK. 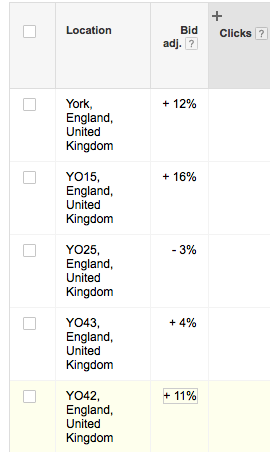 You will notice that nobody is taking advantage of Adwords Geotargeting and displaying ads that contain the word “York”, even the big boys like Everest, Safestyle and Anglian Home, all of which will have significant Adwords budgets. It is the same story in a lot of service based markets and this presents you with a huge opportunity to outperform your competitors. Adwords Geotargeting works by splitting your large national campaigns into several local campaign so that you can display adverts that contain the name of the city that you are targeting. So going back to the example before, Everest would have been much better creating a new campaign that is targeted at York and then writing an ad that is specifically aimed at searchers from York like the example below. This would have helped them improve performance and stand out from their competitors that are all offering similar deals. The reason for creating a different campaign for each city is because Adwords targeting is set at campaign level and this is the only way to display adverts that contain the name of the city that you are targeting. You will want to create a new campaign for every city that is being targeting within your national campaign so your account may become fairly extensive if you are targeting a whole country. It is a good idea to keep your national campaign running in the background to act as a sweeper to pick up traffic from areas that are not directly around a city. However you should exclude the cities that you are targeting from your national campaign to stop your generic national adverts appearing in these areas. Make a list of cities that are already been targeted within your national or regional campaigns. Duplicate your national or regional campaign. Change the location settings of your new campaign to a city within that nation that you are targeting. Exclude that city you are targeting in your new local campaign from your national campaign. Include the name of the city you are targeting within your ads in your new campaign. Create a landing page that dynamically inserts the name of the location into the page. SECTION 1. Make a list of cities that are already been targeted within your national or regional campaigns. We suggest using a directory such as “The official list of cities within the UK” to find a full comprehensive list of all of the cities within the region that you are targeting so that you don’t miss any. Or alternatively you could consult a map. If you already have a national campaign running then a smart idea is to use the dimensions tab to see which cities are getting the most traffic so you can prioritise creating your new local campaigns. To do this follow these steps. STEP 1. Go to the dimensions tab and then go to view: user location from the dropdown as shown in the screenshot below. STEP 2. Sort your user locations by the number of conversions that each one has, with the highest number of conversions at the top, as shown below. There will make good candidates to be made into their own campaigns as local campings. (some stats were blanked out for privacy reasons. 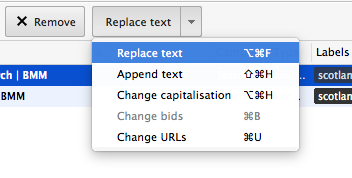 To duplicate your national campaign or regional campaign we suggest using the Adwords Editor interface. STEP 1. Select your campaign within Adwords editor and then use the copy and paste shortcut (Ctrl C then Ctrl V) to copy and paste the national campaign. STEP 2. Now name your new duplicate campaign with the name of the city that you are going to target, in this case I’m going to be using York. This will make your life easier later on when you are writing the ads. STEP 1. 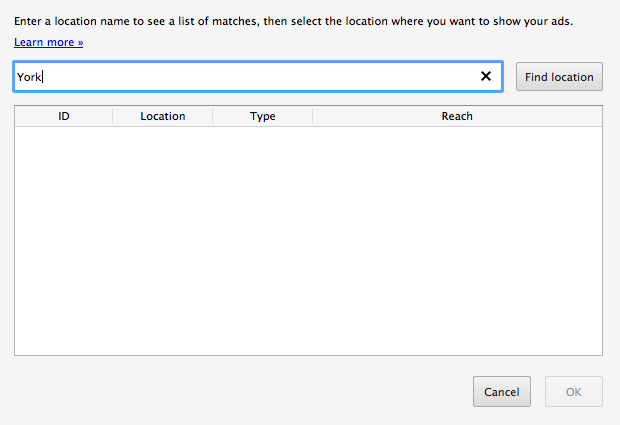 To change the location settings within your new campaign you should go to location settings that can be found within the keywords and targeting tab, as shown below. STEP 2. Remove the national location by selecting it and then clicking remove. STEP 3. Once you have done this you need to add your new location, in this case York. To do this first click the “new location” button in the left right hand corner of the interface. STEP 4. Now click the find new location link and it should bring up a screen like this one below. Enter the location that you want to target into the search box as shown below. Then click “find location” and then click ok.
Once you have done this you should only have the location of the city that you are targeting within your local campaign. SECTION 4. Exclude that city you are targeting in your new campaign from your national campaign. To make sure that your generic national adverts are not displayed to people that are searching in one of the cities that your local campings are targeting you need to exclude the cities that your local campings are targeting from your national campaign. STEP 1. The first thing that you need to do is to go to keywords and targeting again, but this time in your national campaign, but this time you need to select “locations, negative” as shown below. These are your excluded locations. STEP 2. 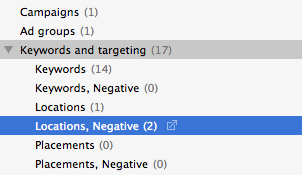 Now select “add negative location” as shown below. STEP 3. Once again go to the edit / find link at the bottom of the page. Once again when the popup appears enter the city that you want to exclude, click find location, select it and then press ok. SECTION 5. Write ads that contain the name of the city that you are targeting. The penultimate step is to write adverts that contain the name of the location that they are being displayed within. This will make your company appear local to searchers and will improve the performance of your Adwords campings. Here is a good example of a local advert targeted at people who are looking for double glazing in the city of York. You will notice that they have included the location twice within the advert. Once in the first headline which we would advise as the second headline is not alway 100% guaranteed to show and secondly they have included the the name of the location within one of the paths that make up the display URL. We suggest that you start by creating the campaign for the location with the longest name. This way when you duplicate your campaign and then use the find and replace option (as shown below) to change the location within the ads you will not end up having to change the template because it exceeds the character limits. SECTION 6. Create a landing page that dynamically inserts the name of the location into the page to make them appear local. One of the ways that we increased the conversion rate of the local campings was by making the landing page that people arrived on local too. 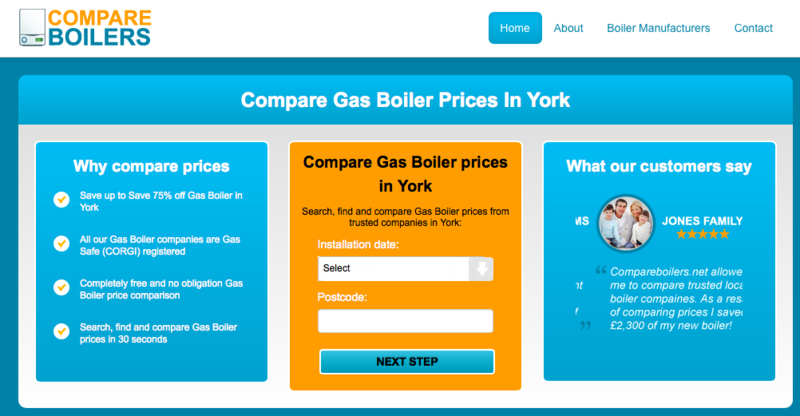 So going back to our example, when a user in York searches for double glazing they will see an advert that has the location York in the advert copy and they will also see a landing page that contains the word York in the headline. Creating dozens of landing pages for each of your locations sounds daunting, however luckily there is a tool that can help you called dynamic text insertion. It allows you to create a single landing page template and then dynamically change the text within the page so that you can make each landing page match the keyword. Simply add this piece of code to your website and then you can change the landing page using the URL. For example take this page here. By changing the URL you can change the location that is displayed within the page. For example if I changed the text after kw2= to a different location such as York or Sheffield then the location displayed on the page will also change. Simply by changing the text after the kw2= within the final URL of your adverts you can create a new page for every city that you are targeting without ever needing to create a new landing page. BONUS SECTION. Setting geographical bids within postcodes of your city. One final way to squeeze more performance out of your Adwords accounts is to set bids based on the postcodes within the city that you are targeting. This allows you for the most granular bidding control and the best ROI. For example this campaign is going to be targeting York which has the postcode Yo so I have added all of the postcodes as target locations to this campaign. Some areas have performed well so I have increased the bids as shown below. For guidance on calculating bid modifiers I would suggest reading “How to calculate your bid adjustments within Adwords” by Nancy Reynolds. One downside however to splitting up your Adwords geotargeting campings this much is that it can be very time intensive Lunametrics. I would also add that it would also require a huge amount of conversions from each city for you to get a statistically significant result for you to based your postcode based bid modifiers on, so it would only be worth getting this granular if you have a city that is generating 100s of leads of sales per day. If you are selling a service based product then the chances are Adwords geo targeting is going to be a great opportunity for you to improve your ROI. As we have seen even a lot of the big players are still not utilising this strategy so it will be a great opportunity for you to stand out from the crowd and reap the performance benefits. By making sure that you localise the full customer journey by creating both localised Adwords ads and landing pages you will get the most benefit from this strategy. If you are a large spending account then consider taking this a step further and adding the postcodes within the city that you are targeting and altering the bids accordingly to give you the maximum amount of control over your budget. Hi, using the business data feature in AdWords it’s possible to dynamically insert the city or whatever level of targeting you’ve set to be inserted dynamically into your ads. This will save a lot of work duplicating campaigns, and give you better sample sizes for keyword bid changes and ad testing. 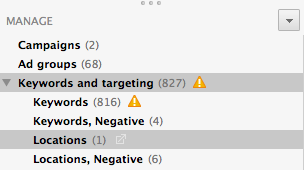 Not that I am aware of Michel, if you use Adwords editor duplicating campaigns should not take too long and you can use labels to aggregate data across campaigns!